Your credit score is one of the most important factors when determining your eligibility to obtain a new line of credit, whether it is a credit card or a mortgage. It is also a key determinant of what interest rate you will have to pay on loans that you are granted. A higher score, and thus a lower interest rate, on a large loan such as a mortgage can save you thousands of dollars. This article will discuss how your score is calculated and provide some tips on how to improve this essential rating over time. 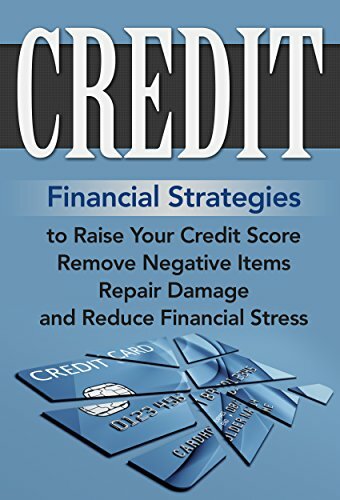 The focus here is on the FICO score, which is the most widely used measure by creditors in the US. Payment History (35%) – This is the most important factor in determining your credit score. Late payments are tracked and will hurt your score for seven years, although the impact diminishes over time. There is not much you can do to improve this portion of the score besides continuing to pay at least the minimum amount due on your cards and other loans (although you should always pay the full balance when possible to avoid large interest rates or other financing fees). Tip: If you are late on a credit card payment on your most recent statement, make sure you pay it off as soon as you realize it and then immediately call your lender to ask to have the fee and record of late payment removed from your record. This has happened to me multiple times where I missed the first payment of a new account because I thought I was set up for AutoPay on the first statement but wasn’t. Every single time the bank has removed the finance fee and interest charge as a courtesy. Just make sure you set yourself up for automatic payments or stay on top of it after that, because if you have repeat infractions on the same account, your lender will be less likely to let it slide. Amounts Owed (30%) – Your “utilization score” is calculated by dividing your total outstanding debt balance by your total credit limit. The lower this debt percentage, the better your credit score. Tip #1: Periodically opening new lines of credit without drastically increasing your spending will improve your credit score over time. This is mainly because your total line of credit will increase, but your debt balances will not, improving your utilization score. Tip #2: Your score is calculated based on your most recent statement balances. If you pay off your balance before the statement date, then your next statement will show a zero balance, lowering your utilization score. This can be a useful trick in improving your score before requesting a new line of credit. Length of History (15%) – The longer you have had any credit on your credit report, the better. The average age of all of your accounts is also factored. Tip: Even if you don’t use the credit cards any more, don’t ever close your oldest cards. This can immediately and drastically drop your score. If it is an account you no longer use, it would still be wise to occasionally use the card (maybe once a year), because banks will occasionally close an account for you if it is inactive for too long. Types of Credit in Use (10%) – Your score will improve if you have a variety of credit accounts, including cards, installment loans, and mortgage loans. It is worth knowing that adding a new type of loan (an auto loan, for example) can actually help your score, but you should let this portion of the calculation work itself out. It is not wise to take out a different type of loan that you don’t need just to improve your score. New Inquiries (10%) – Lenders don’t like to see a lot of inquiries at once, so a large number of recent request for credit would negatively impact your score. Inquiries remain on your credit report for two years, although they are only factored into your score from over the past 12 months, and the effect diminishes over time during that year. Long-Term Advice: Not everyone agrees, but I recommend periodically opening new no-fee credit card accounts as a way to improve your credit score over the long-term. The request will temporarily lower your score because it counts as a new inquiry and it will lower the average age of your accounts. However, your utilization amount (a much larger factor in calculating your credit score) will immediately decrease, improving your score. 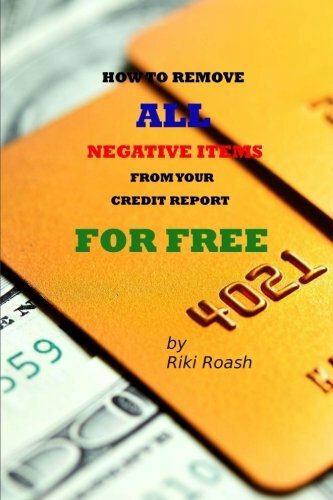 While the two negative factors are temporary, your increased credit limit is permanent. Assuming that you are responsible and won’t be tempted to increase your spending with your higher limit, this is a great way to increase your FICO score in the long-term. Over time, these new accounts will become old accounts and you will have a higher average age of accounts. This will diminish the negative effect to your average age of accounts when opening new lines of credit in the future. Short-Term Advice: If your focus is improving your score in the short-term so that you can apply for a mortgage soon, for example, then your best bet is not to open any other new accounts in the near-term. Paying off your credit card balances before the statement dates are also a great way of lowering your utilization and increasing your score. General Advice: No matter what your goals are, never miss a payment and never close your oldest credit card account (assuming it is a no-fee card). If you ever do close out a credit card (again this is really only beneficial if it carries an annual fee), before you cancel ask for your limit to be transferred to another card by the same issuer. This will prevent any negative effect from a higher utilization percentage. Alternatively, instead of cancelling, you can try asking your issuer to downgrade you to a no-fee card. This is actually an even better solution in that you will not negatively affect your utilization nor your average age of account. Monitor your score. Free, safe websites such as Credit Karma and Credit Sesame are great ways to see your score and have it broken down for you. Some card issuers such as Discover and Barclays will provide your score for free on their monthly statements or their website.